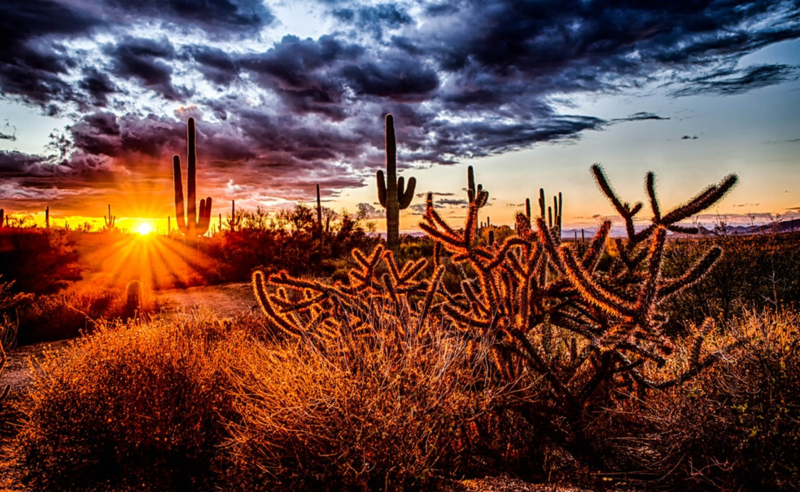 There is so much beauty to behold in Scottsdale, Arizona. You can go rock climbing on the Boulders or whitewater rafting on the Upper Salt River. There are also plenty of resorts near Scottsdale that offer amenities such as dining, entertainment, shopping, and more. There’s so much to do that it can be hard to find your Inner Zen while on vacation. Finding your Zen means to slow down completely. It’s an incredibly restful and healthy goal for your body and spirit. When you’re traveling, it’s especially hard to do. All the rushing and constant activity can make it impossible to feel grounded. Are there moments when you can slow down and take a few deep breaths? Discover how to find that Zen as you navigate through your day. Here are some ways to find stillness amidst a chaotic vacation. If you’re stressed out from traveling, just stop and close your eyes for a few seconds. It’s one of the simplest techniques for finding your Zen in Scottsdale, Arizona. Anytime you need, you can close your eyes and turn your focus inwards. Whenever you do this, you are looking into yourself, and that’s the first and most important step to becoming grounded. Make time for this simple technique several times throughout the day, especially when you’re busy. Whenever you’re faced with a stressful situation, just stop and count to 10. You can incorporate this technique into almost any situation by just closing your eyes. It’s a technique that works for children and still works for adults. Adding deep breathes can help your mind slow down. Speaking of… Don’t forget to find your breath. It’s easy to go, go, go when you’re traveling throughout the day. Don’t move so much that you take breathing for granted. Find moments in your day when you can focus on taking a few deep breaths. Inhale from the bottom of your belly to the top of your chest. Allow yourself to completely let go in the moment. Don’t forget to exhale from your nose, from top to bottom. Repeat a word or your favorite mantra while taking deep breaths. Practicing deep breathing with a mantra can help shift your focus back to the present moment. It can slow down your heart rate and make you feel peaceful and calming. Your vacation to Scottsdale, Arizona shouldn’t be focused on finding your Zen. Make time for light-hearted and fun activities. Zen doesn’t just happen when you’re relaxed. It also happens when you’re laughing and having a great time. As you get older, you do fewer silly things and you forget to laugh or smile every so often. Laughing is great medicine as it has a positive effect on your health and well-being. Go to a comedy act or a concert that will put you in a good mood. This will help you find your Zen on vacation. When was the last time that you took a walk? Did you tend to grab your car keys or bicycle instead? Every morning, take the time to go for a walk around the Andaz Scottsdale Resort & Bungalows. This is a great way to check out the scenery and reconnect with yourself. In addition to calming you down, you’re stimulating your heart and removing the stress that comes with driving in traffic. Getting some exercise every day is good for your heart and your lungs. So choose to walk instead of taking the bus or taxi. When you choose to walk, you get to enjoy all that Scottsdale has to offer. This is a collaborative post supporting our Peace In Peace Out initiative. Next PostNext What does it mean to be present?